On the second night of our romantic Lake Louise getaway, hubby and I had a hard time deciding where to go for dinner. Most of the offerings looked more like ‘family style’ type dining and there we were…sans family. We didn’t feel like anything too formal either. And, it’s not like there are many options in Lake Louise anyway. We had spent the day Nordic skiing on the trails around the town site and then we walked down to the end of the Lake itself. It was then that I made the decision to call up the Railway Station and make us a reservation. Hubby thought it was pretty funny as there we were, surrounded by all the beauty of Lake Louise the mountains and all I could think of was dinner. When we arrived, I was blown away by how beautiful this historic restaurant was. Built in 1910 by the Canadian Pacific Railway company, Laggan Station (later the Lake Louise Station) was a busy place indeed. It was one of the few ways to bring tourists to visit the beautiful area and it remained a train station until 1990. Looking at the beautiful wood burning fireplaces, artwork, and woodwork throughout the building kept us busy during our meal. We had advised to make an earlier (or later) reservation since there was a large party coming in at the time I had originally tried to book a table. Fair enough, so I decided on an earlier time and the service was so efficient that we almost made it through our whole meal by the time the huge party arrived. 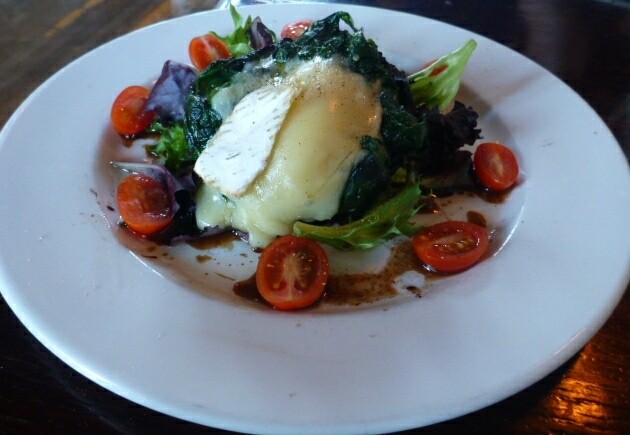 We decided to start with a brie and spinach covered portobello mushroom. I thought it was really good and it would even be something I might make at home sometime, even though kid number two doesn’t like mushrooms. It also had some mixed greens and grape tomatoes with a balsamic vinaigrette dressing. While not exactly lovely to look at, it was delicious. I decided on the pan roasted chicken. I don’t often choose chicken at a restaurant because I eat enough of it at home but I thought the chicken with mushroom sauce was worth a try. I ordered a Pinot Noir to go with the woodsy flavours of the mushrooms but I ended up with the bottle dregs which seriously tasted off. So, I sent it back and was given an overly sweet Pinot Gris. I don’t even know what kind it was, but it sure didn’t go with my meal. With the chicken, I had my choice of rice, chips or a twice baked potato. The twice baked potato had feta and spinach inside the ‘filling’ so I was happy to give it a try. On the whole, I found the meal tasty enough. If you look in the photo you can see the poor asparagus being sacrificed on the potato altar…And, wayyyyy too much broccoli. 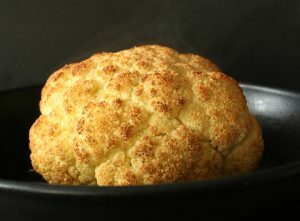 Thank goodness there were enough vegetable on the plate that I didn’t feel too bad about leaving my broccoli behind. 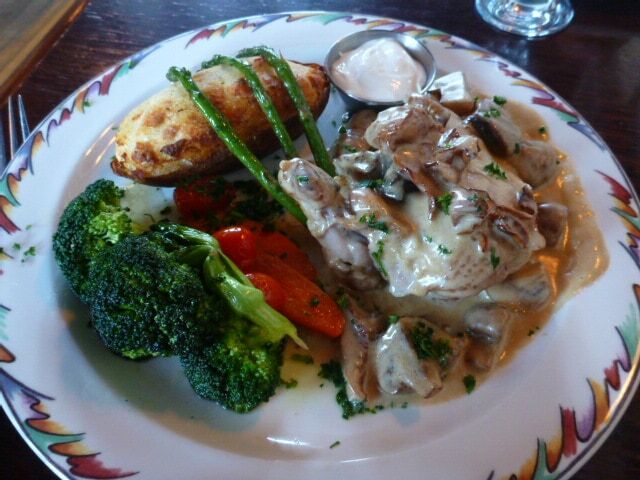 The chicken was not over cooked at all and came with a really nice mushroom sauce with criminis and chanterelles. It was, however, a HUGE plate of food. 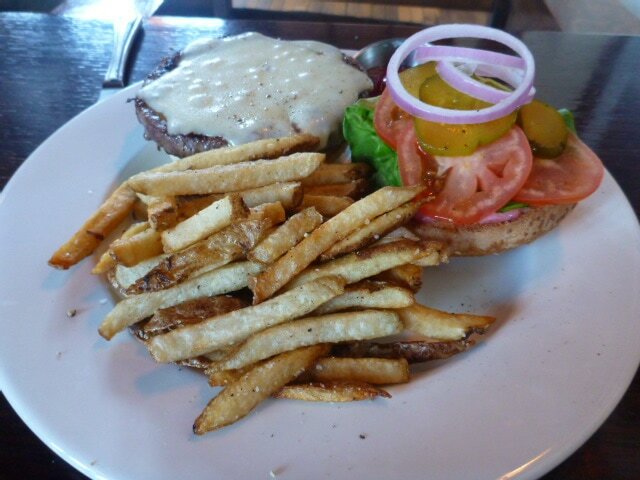 Hubby ordered the elk burger with a side of fries. Not too fancy but those were probably the best fries I’ve had in a long while. Even though I had a lot of food on my plate, I couldn’t help but grab a few now and then. And hubby as always, is very patient with me. I’m glad we chose the Railway Station for dinner that night. The food was tasty but uncomplicated and the atmosphere and service were really appreciated. I do think that we would visit again if we were ever in the area again. 11:30 am through 10 pm with an all day menu. Private and semi-private functions are welcome, please enquire.